Raw video footage is usually not perfect due to camera issues, the environment where the video is recorded, or person handling the camcorder make mistakes during the filming. Normally, you just need to fix some small issues in the video and it will be ready for uploading online. 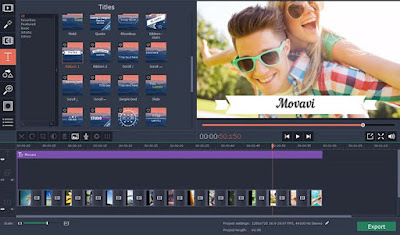 These small issues can be fixed in a basic video editor like Movavi Video Editor. The drag and drop interface makes it easy to import the raw video footage into the software. If you want to load the video via drag and drop, you must drop the video in the video row in the timeline storyboard. If you look at the toolbar above, you will see that the first tool is a scissor tool that can be used to trim the video. To enable the cutting tool, you must click on the scissor tool. The next step is to click and drag the red marker to highlight the start and end of the part that contains the unnecessary footage that you want to get rid. Pressing the Delete key will completely delete the unwanted part. You can append another video clip next to the first video clip by clicking on the Add Media Files button. 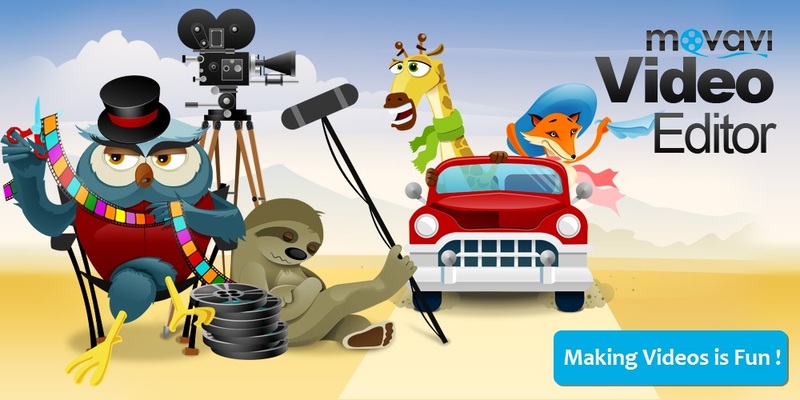 You can append as many video clips as you want to behind of the first video clip. When you save the video, all the video clips imported on the video track will be merged together into a single video. Movavi Video Editor has a cropping tool that you can use to get rid of unwanted details that appear at the edge of the video. For example, if you have your camcorder focused on a gadget but there is another gadget besides it that is completely unrelated to the video. it will appear at the edge of the screen even though not fully seen on the camera. You can crop off the edge to fix the issue so that the audience will only see the gadget that you are filming about. Get more details at https://www.movavi.com/videoeditor/ . Movavi Video Editor offers color correction filters that can be easily adjusted by simply dragging the sliders. The color correction filters can make changes to the different color properties in the video. The brightness filter is useful for fixing a video footage that is poorly lit. The chroma key filter allows you to mask the clip with a color range. You can add blur effects to blur out the details that you don’t want to be seen in the video. For example, you can add blur effect to blur out a certain video clip if you don’t want people to see the details. The sharpness slider can help you to improve a blurry videos by sharpening it so that the details can be clearly seen. You can make the video look funky by rotating it. If the video footage you filmed is quiet and not have any sound, you can improve it by finding a suitable soundtrack that is about the same length of the video. If your soundtrack is short, you can choose the loop audio option from the Audio tab to repeat the audio.